Sunflowers are the most recognizable members of the world’s largest family of plants, Asteraceae, which includes lettuce, chrysanthemums, asters, dahlias and weeds. The sunflower family is found in almost all habitats, from the driest deserts through grasslands and the tallest mountains to urban wastelands, and includes more than 32,000 species. The family has become a part of our literary and visual cultures, inspiring artists such as Vincent van Gogh, and is used by advertisers to promote countless products. It produces hugely popular and economically valuable ornamental flowers, as well as familiar flavourings such as tarragon and artemisia, and sunflowers are also used in the production of antimalarial drugs, artificial sweeteners, insecticides and fish poisons. 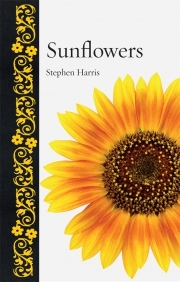 Sunflowers unravels the interplay between the biology of sunflowers and human cultures over the last 6,000 years. It explores our fascination with the family and how our uses of the plants have changed over millennia. 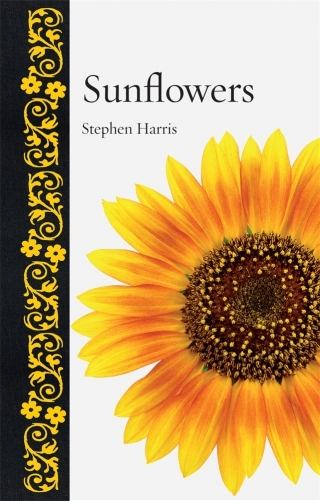 Illustrated with many rarely seen images of the sunflower family, this beautiful volume will appeal to those looking for a new, surprising perspective on familiar flowers. Stephen Harris has been Druce Curator of Oxford University Herbaria since 1995 and a University Research Lecturer since 2002. His books include The Magnificent Flora Graeca (2007), Grasses (Reaktion, 2014) and What Have Plants Ever Done for Us? (2015).